The Unique Wedding Photos You Want. Captured Forever on Film. You know, when I think about weddings I think about feeling loved. 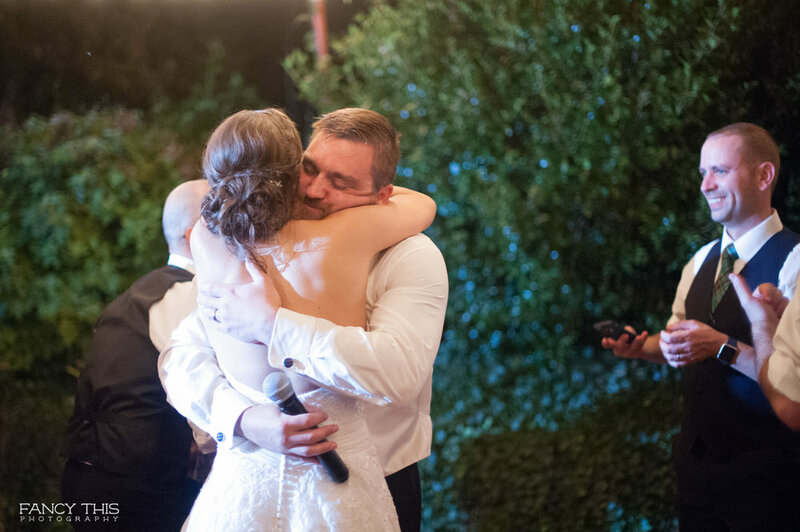 I got in to photographing weddings because I was [and still am] so in love with--love. 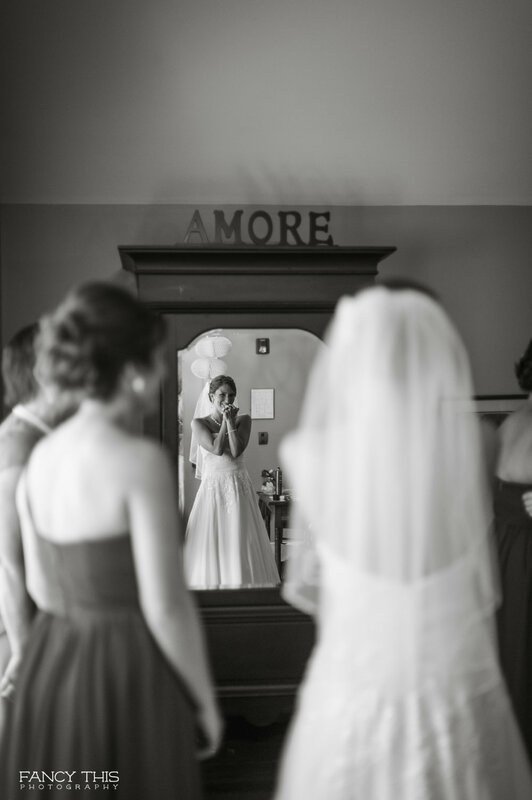 With the hustle and bustle of fall wedding season, it is so nice to take a step back and marvel at some of the best love you've come across. I think about Garrett and Diana. I met Garrett and Diana late last year and completely fell in love with them! Yes! I know, I fell in love with a couple! The entire process of collaborating with them was filled with so many laughs, well wishes, and even cookies. Diana, you are a great baker! This has been one of my favorite weddings of the year, simply because of the company that I was with. Not only were Diana and Garrett a dream to work with, their entire wedding party was a blast and so so so nice to myself and second shooter [Sean] come wedding day. It is the little things that I remember, like having people ask if I needed water. Good couples bring good company. The day was a dream! The week leading up to the wedding was such a drag in regards to weather. I was constantly checking to see if Saturday would be rainy, but it wasn't! The rain had stopped the day before and gave us the perfect little glow at their ceremony site. 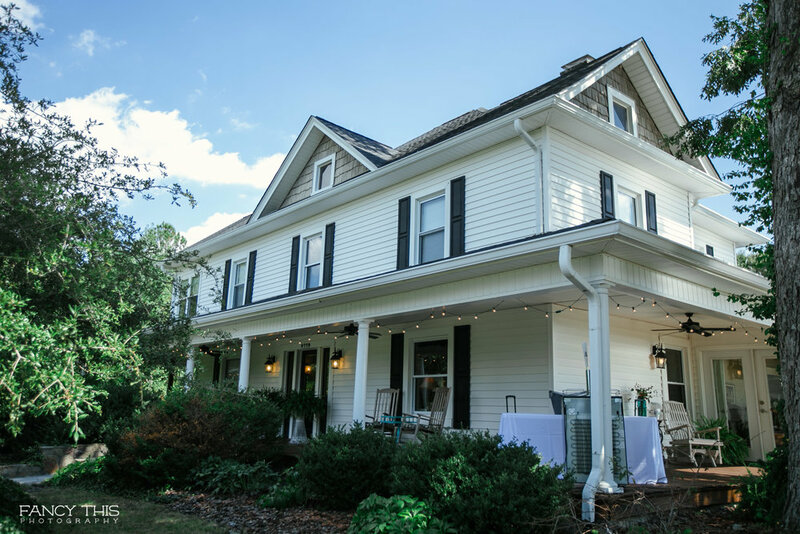 Garrett and Diana said their nuptials at the gorgeous Groome Inn, located in Greensboro, NC. The ceremony backdrop was all of the good things rolled in to one; the cutest little benches, a sweet little chandelier, and a beautiful green patched arbor that framed the two of them. Along with the amazing backdrop of their venue, they brought so many adorable details that really made their day theirs. One of my favorite pieces were the canvases they had made from our engagement session! Seriously, my couples are the best! They looked so well hanging up in the venue! All in all, this was one of the most fun weddings I've photographed this season! The couple danced like none other [to some of THE BEST old school R&B music] and there was even an impromptu serenade. To say that I am sad this day is over is truly an understatement. There are some things that make me gushy with excitement... If you have been following my blog you've noticed my love for bridals. I. just. cant. help. it! I mean, look at the bride?! Brittany is absolutely gorgeous with her beautiful skin and long red hair; her beauty team must have thought of her as an absolute dream! And the gown?! Lazaro always makes ravishing gowns that seem to just be the perfect fit for my brides. And this venue, oh this venue always blows me away! I absolutely adore the Carolina Inn. If you have never walked its hallways, I highly recommend it. It is the perfect blend of traditional with modern hints. It's a dream. All in all, this session came out beautifully! I can not wait to hear your thoughts on this gorgeous little beauty I'm presenting to you! Happy wedding day! I mean, don't you just love a good bridal session?! I have to admit, these are probably one of my favorite portrait sessions to do. 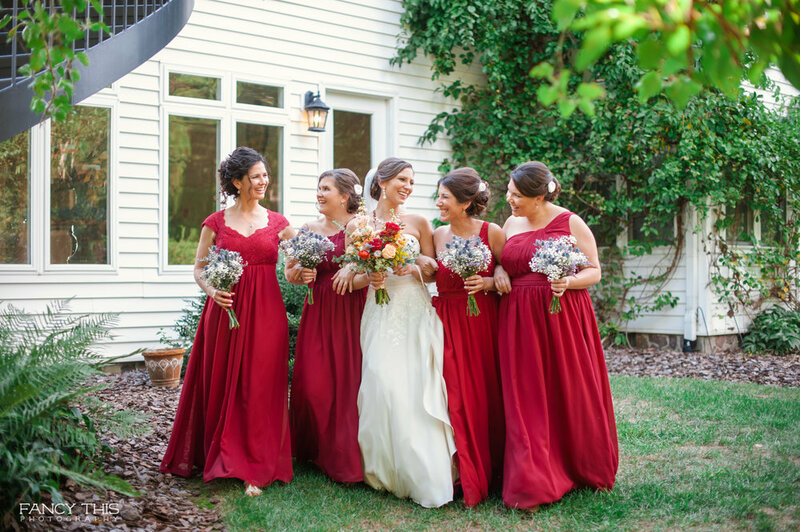 It acts as "me time," for the bride, and also gives you some set images to mull over before your big day! Below is a set of images taken of our model Joy. She's gorgeous, and not just your average kind of pretty. I love that dark hair of hers! Paired with a bright lip, she's the perfect Snow White for the summer. 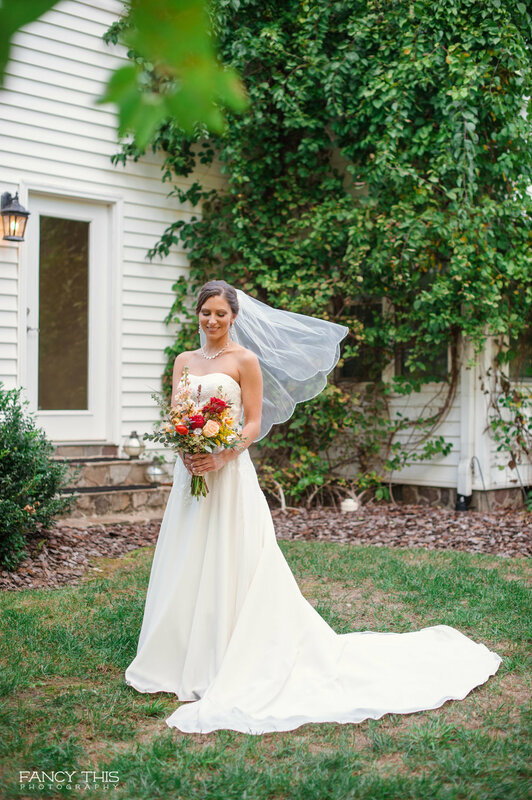 Both dresses, which can be found at Tre Bella in downtown Durham, are breathtaking on her! As always, Makeup For Your Day did an amazing job on prepping this swoon worthy lady for her beauty close-ups! Design by Native State Design Co.